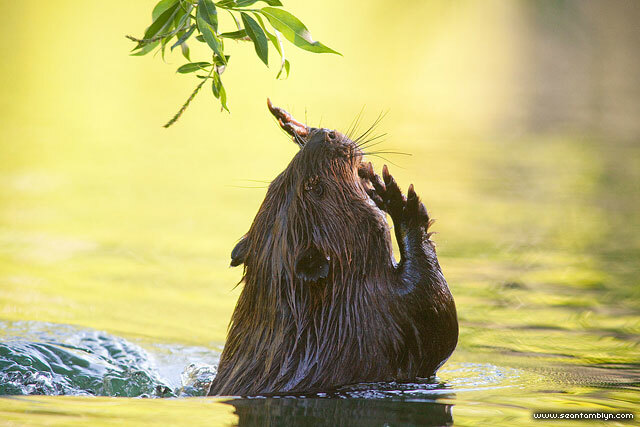 A beaver, reaching for a tasty low-lying branch, misses the target and sinks back slowly in the water. This entry was posted on Monday, October 24th, 2011 at 3:50 pm. It is filed under Featured, Wildlife and tagged with Canon EF 300mm f/4 L IS, Canon EOS 5DmkII. You can follow any responses to this entry through the RSS 2.0 feed.